Being a vegetarian is a lifestyle choice. This is amazing way to get and stay healthy. One of the main problems with being a vegetarians and eating healthy in general is that the food costs more. 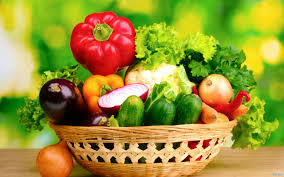 You are at the grocery store more often buying fresh produce and you are spending MORE MONEY!!! That's not good for anyone. The trick is when your running low on funds to be smart about the kinds of dishes you make so that you can stretch your cash and still maintain your pure vegetarians lifestyle. I have compiled this list of 21 recipes that I have found to be some of the best as well as the cheapest recipes around for all my vegetarians brothers and sisters. Without further ado, let me get right into what you all picked this book up for ...THE RECIPES!! !